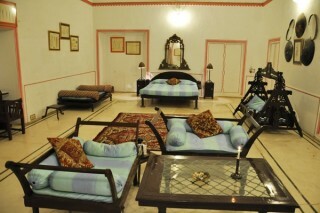 This is an offering of a private room in a heritage stay, which can accommodate up to three people. 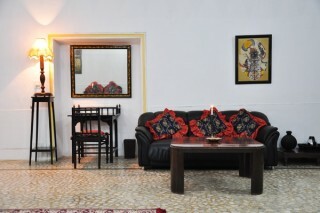 The property is tastefully furnished to provide modern comfort, and the room on offer is ideal for a small family. Breakfast is provided on request. 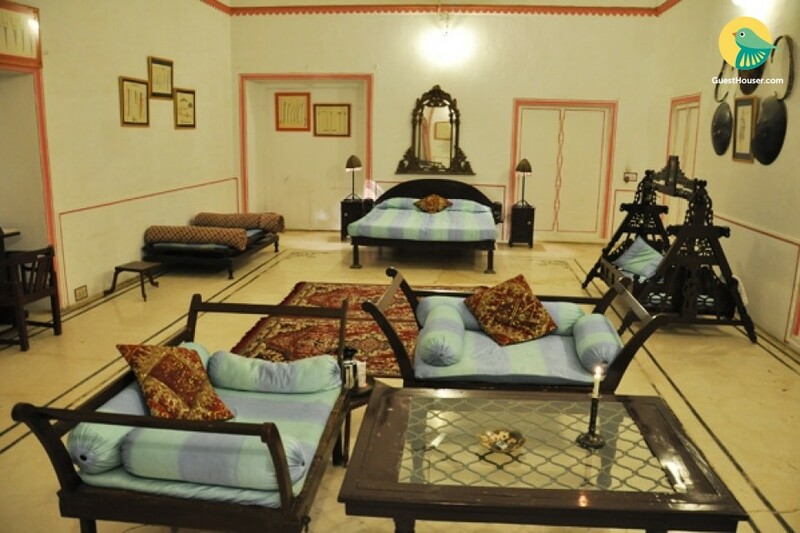 Your Space This holiday home boasts an ethnic charm that invites travellers to soak in some Rajasthani aura. There are a couple of sitting areas furnished with plush sofas, where you can catch up with fellow travellers and unwind over travel stories. 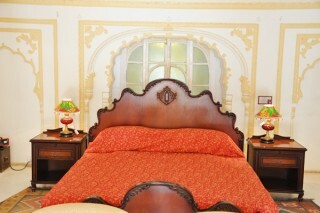 The room on offer houses a comfy bed with side tables, and plush coffee seating for your convenience. 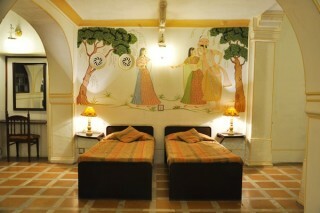 Vibrantly-done frescos and traditional motifs adorning the walls of the abode add a royal appeal to your stay. This Place is surrounded by the revered Veer Teja Mandir (Approx. 8km). The Veer Teja Mandir is dedicated to the legendary hero Veer Teja who is also considered as an incarnation of Lord Shiva in rural areas. Some of the other places worth taking a tour are Ranthambore Fort, Jogi Mahal and Trinetra Ganesh Temple.